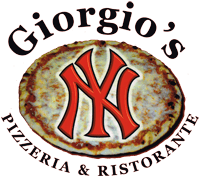 Online ordering menu for Giorgio's NY Pizzeria. Delicious pizza and Italian cuisine, located on Tamarac Drive and Hampden Avenue, right next to the Tamarac Plaza and Hutchinson Park. **Wait time is an estimate; it may vary during peak business hours and poor weather conditions.